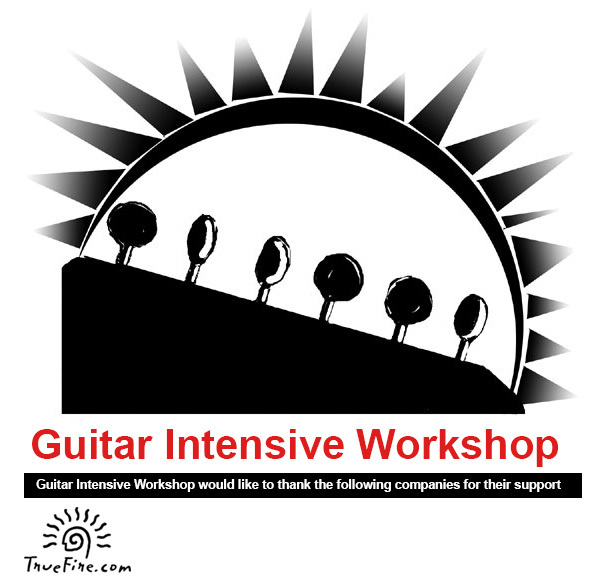 2014 Guitar Intensive Workshop will be starting in 2014 featuring some top educators! Workshops throughout the year that will include weekend or full week intensives in various parts of the USA. A new Summer & Year-Round Special event Workshops which will combine cutting edge guitar education with private lessons and workshops by the finest world’s finest guitarists will be starting in the summer of 2014. These one week workshop offers courses covering a wide range of subjects and a diverse ensemble program tailored to the needs of the aspiring student of contemporary guitar. Here are our core faculty Mimi Fox, Alex Skolnick, Stuart Hamm and Bruce Arnold and we will soon be announcing the remaining educators. Courses give an in depth look into the fields of music theory, time and improvisation and are geared towards the intermediate to advanced guitarist. Ensembles concentrate on sight reading, improvisation, solo guitar playing and other subjects important to a guitarist’s development. We also offer a wide range of master classes and performances that are scheduled weekly throughout the intensive. The courses and ensemble program are cutting edge and focus on developing a solid foundation in music theory, ensemble performance and sight-reading. The camp climaxes with full-fledged concert(s) in which both students and educators will participate. These intensives will be located throughout the USA and then expand globally over time. If you have interest in this intensive please shoot us an email. YYou will find more specific information on courses, private instruction, ensembles, required books, daily events, application and audition information, meals and housing, fees and age requirements along with the bios of the participating faculty on our forthcoming website.e. Unlike most summer guitar programs you will work with a highly organized approach to music. Much of the information you will work with is not available in any other college program or course. All courses are college level but are presented so that most high school age students will have no problem with comprehension. All instructors at this intensive have a proven record of educational expertise. Their music educational skills run the gamut from creating and running whole music programs at the college and pre-college level to music instructional books and DVDs. These clinicians also are seasoned live & studio recording guitarists. Full and partial Scholarships are available for the cost of the workshop. If you have interest please contact us below. Contact us for further information on anything presented here or if you have general questions. I’m interested in intermediate/advanced jazz guitar classes during your 2014 intensive.